Parehjan & Vartzar Chiropractic Inc. has passed our rigorous 5-step screening process and is a member in good standing of the Doctors on Liens™ provider network. We fully endorse Dr. Robert Vartzar DC, Dr. Patrick Parehjan and recommend their services for personal injury and workers compensation cases. 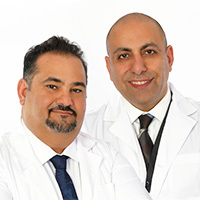 Parehjan & Vartzar Chiropractic Inc. provides chiropractic, medical evaluation, pain management, and massage therapy services in the Mid-Wilshire Los Angeles area. Please contact Parehjan & Vartzar Chiropractic Inc. directly or call our office at 855-DOC-LIENS.